Tony Award-winning composer John Kander, who is currently represented on Broadway with the long-running revival of CHICAGO and his latest musical THE VISIT, is the recipient of the Broadway League's Distinguished Lifetime Achievement Award. 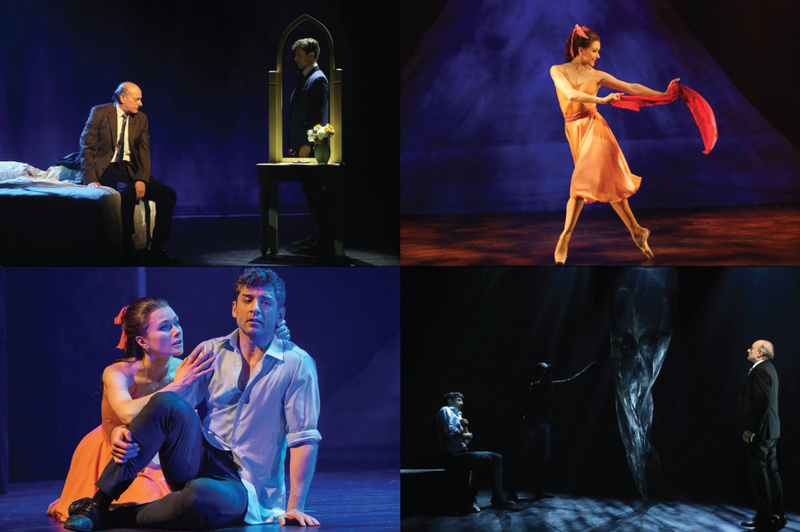 The awards celebrate excellence and achievement for touring Broadway and were announced during the Broadway League’s 2015 Spring Road Conference, a gathering of Broadway tour presenters from across the U.S. The awards were created in 1992 to "recognize the contributions of those who have displayed exemplary service to the Broadway industry and are considered innovators of their craft." 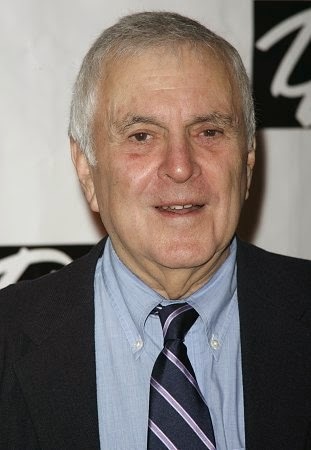 "John Kander is a celebrated composer who has created award-winning work for theatre, film, and television," said Charlotte St. Martin, executive director of the Broadway League in a statement. "Currently a 2015 Tony Award nominee for THE VISIT, Mr. Kander has given the world some of the great creations of the American musical stage, many of which have toured the country and the world." 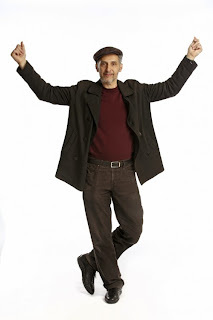 JohnKander, composer of the newly opened musical THE VISIT, shares the story of adapting "Zorba the Greek" into the musical ZORBA!, which is being staged at City Center beginning May 6. "Life is what you do while you're waiting to die. Life is how the time goes by." 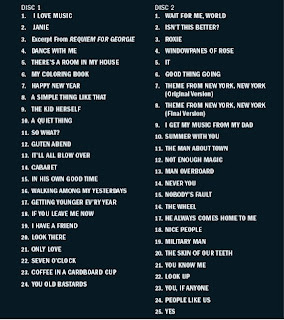 These are perhaps the starkest lyrics ever to open a Broadway musical. But they perfectly establish the tone and mood of the unyielding yet ultimately uplifting story which will unfold in ZORBA! which comes to City Center from May 6–10. Based on the 1946 novel by Nikos Kazantzakis, ZORBA! is the tale of the unlikely friendship that forms on the island of Crete between Nikos, a young educated writer, and Zorba, a boisterous and worldly-wise working man. The musical, with music and lyrics by John Kander and Fred Ebb and book by Joseph Stein, opened at the Imperial Theater in 1968 and ran for 305 performances. Starring Herschel Bernardi as Zorba and Maria Karnilova as Hortense and directed by Hal Prince, the show received mixed critical reception, and the authors revised the show for its 1970 national tour, which starred John Raitt as Zorba and Chita Rivera as the Leader. 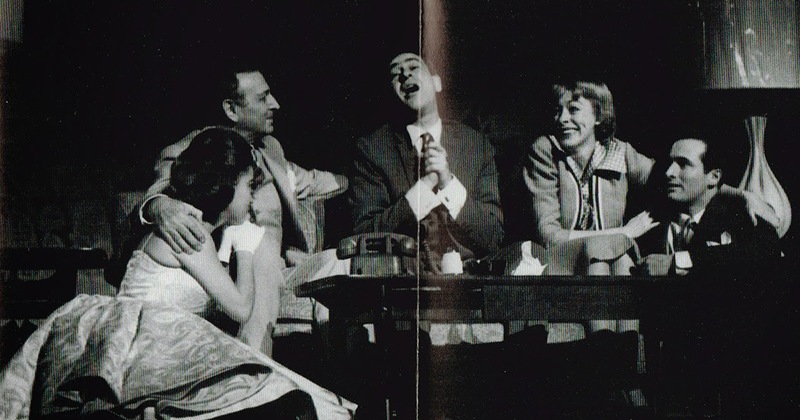 In 1983, a Broadway revival ran for 362 performances and reunited several key players from the 1964 film "Zorba the Greek": director Michael Cacoyannis, Lila Kedrova as Madame Hortense, and Anthony Quinn himself, reprising his memorable performance as Zorba. That was the last major New York production of the show until now. At Encores! it is always a special occasion when we have living authors to consult with. While lyricist Fred Ebb passed away in 2004, composer John Kander is still going strong at 88: CABARET just completed another acclaimed Broadway run; the revival of CHICAGO is in its 19th year; his new musical KID VICTORY recently premiered in Washington, D.C.; and perhaps most significantly, Kander and Ebb's THE VISIT opened on Broadway in April. This is the first time that a composer of an Encores! 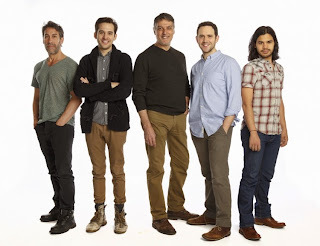 show has a new musical simultaneously opening on Broadway. 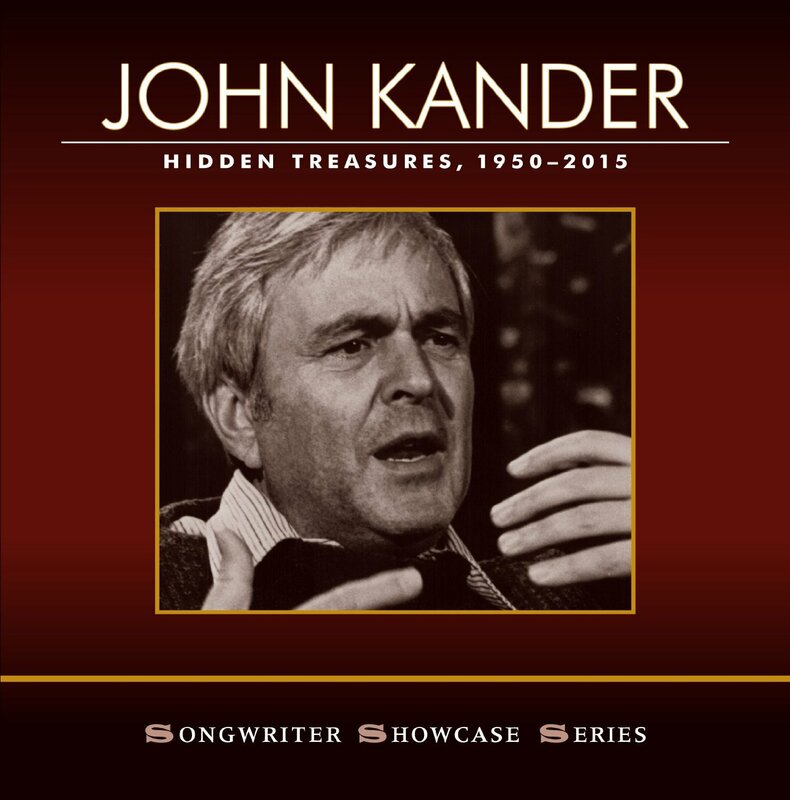 I recently had a conversation with Kander about his memories of the various productions of ZORBA! 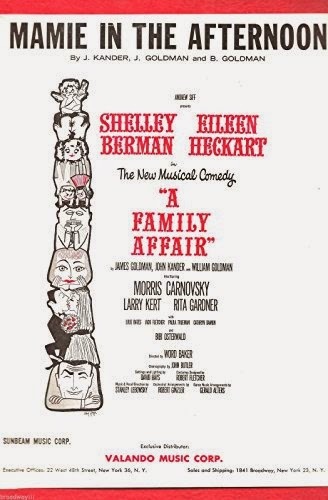 ROB BERMAN: I noticed that your musical THE HAPPY TIME opened in January of 1968, and ZORBA! opened in November of the same year. How and when did you and Fred Ebb get involved with adapting "Zorba the Greek" into a musical? 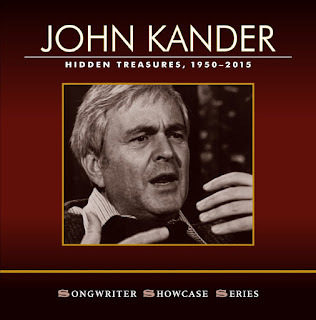 JOHN KANDER: I remember this rather specifically. Fred and I were in L.A. working on THE HAPPY TIME. We rehearsed and opened out there in great part because that's where [director] Gower Champion lived. While we were there, Hal Prince had contacted us and asked us to read "Zorba." He had an idea about making it into a musical. We did read it and decided we didn't want to do it. We couldn't see it as a musical, although it was not that we didn't think the material was wonderful. We were very questioning. Well, Fred and I had rented a house together and there was a phone way down in the yard and another phone in the house. I went down to the extension phone down in the yard and Fred was in the house and we were preparing to speak to Hal and say no, but then Hal started describing his vision for the very opening scene, out of which the chorus Leader would appear. By the time he finished describing this opening scene, we both enthusiastically said yes. Had you already seen the film? JK: By that time everyone had seen the film. But the film didn't enter into this because we were forbidden from using anything from the film. Our major contact and reference was the widow of Nikos Kazantzakis, who had passed away by then. She was very encouraging and stayed connected with this piece for quite a while. My memory is that she came over and saw it and approved it. RB: I have to confess I never knew the show all that well and it has been a wonderful discovery for me. Perhaps because of the Herschel Bernardi connection, I always imagined that ZORBA! was similar to FIDDLER ON THE ROOF, but set in Greece. [Bernardi created the role of Zorba, and had earlier played Tevye.] But of course it couldn't be more different than that show. If anything, I see similarities with CABARET in that both are stories about a young writer visiting a foreign country and befriending a larger-than-life character. Did that similarity ever cross your mind? JK: Not at the time. It did later. There was another similarity too in the way Hal was approaching it. Since we're telling a story, there were observers onstage and there were in CABARET as well. RB: Tell me about the sound of the show and the incorporation of Greek music and instrumentation into the score. Did you do any special research at the time? JK: The first thing that happened is that I listened to lots and lots and lots of Greek music. And then I forgot about it. I did the same thing with CABARET, where I listened to lots and lots of German jazz and then forgot about it. I made the assumption that I would just write with that influence in the back of my head. I do know that the very first notes I wrote for ZORBA! were the opening vamp to "Life Is." RB: In addition to the ethnic instruments onstage (bouzoukis, oud, dumbek), most of the strings in the original Broadway pit doubled on mandolins and mandolas, but that appeared to have been simplified by orchestrator Don Walker for the 1970 tour. JK: That was necessary. The interesting thing about the tour is that the final version of the show happened with the tour. There was something musically not quite complete about the version that was on Broadway. When we sent it out on tour, we had a chance to write some new things. For instance, "Why Can't I Speak" became a trio and we incorporated it with a new song for Nikos, "That's A Beginning." RB: I think the song "The Butterfly" is one of the most beautiful songs you have written, and I like to imagine that it just flowed effortlessly out of you. Do you remember it being an easy song to write? JK: I don't remember that being hard. We had little thematic things we kept coming back to. In the construction of "The Butterfly," we found that little returning theme of "Not too fast..." which was related to other material in the show. I don't remember the show being hard to write. The score also, I must say, was in great part an extension of Hal's vision. His use of the Leader to help tell the story influenced us very greatly. RB: The dance arranger of the original production was one of the great unsung women of Broadway history, Dorothea Freitag. JK: Dorothea was a fantastic pianist, a marvelous character and musician. She wrote a lot of dance music for Broadway. 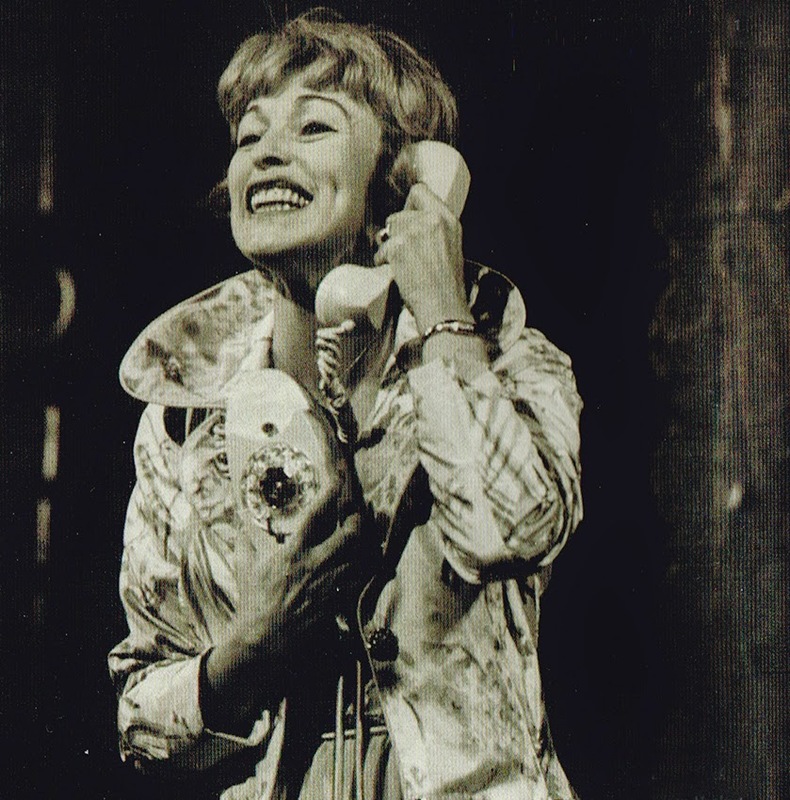 When we wrote 70, GIRLS, 70 we had a character onstage called Lorraine and we wrote that part for Dorothea. RB: You wrote a new song for Anthony Quinn in the revival. JK: Yes, which was called "Woman," which turned out well. Quinn and Lila Kedrova were both wonderful in the piece, but it was a different kind of experience. It became more of a star vehicle for Quinn. RB: You've written so many wonderful shows. Does this one rank in your mind in any way? JK: I think that from a writing point of view, Fred and I were starting to become more adventurous, which was really fun, and Hal was very encouraging with that. I remember the whole experience of ZORBA! right through opening night as being a happy experience. It seemed like a clear piece of work.